Judge Brett Kavanaugh, pictured before meeting with Senate majority leader Mitch McConnell at the Capitol on Tuesday. There are plenty of good reasons to be skeptical about the nomination of Brett Kavanaugh to the Supreme Court. His ascendancy will put at risk a host of longstanding judicial precedents, including Roe v. Wade. His confirmation would also probably lead the high court to place more restrictions on government regulatory efforts and continue its assault on voting rights and its flagrant support for business interests over those of workers. But all these issues pale to the immediate problem with Kavanaugh — and it has less to do with him and more with the man who nominated him. In effect, President Trump is nominating a judge who may pass legal judgment on him, a clear conflict of interest. Can Trump refuse to testify if special counsel Robert Mueller subpoenas him in relation to the Russia probe? Can Trump pardon himself? Can Mueller indict the president? If confirmed, Kavanaugh could end up weighing in on Supreme Court decisions that deal directly with these matters. How they are adjudicated could determine whether Trump and his campaign associates will ever be held legally responsible for their actions. In short, the rule of law and democratic accountability would be on the docket. Since he was a member of special prosecutor Kenneth Starr’s staff in the investigation of President Bill Clinton, Kavanaugh has a paper trial on some of these questions. He argued, at the time, that the president could be impeached for lying to his staff, misleading the public, and even refusing to abide by a subpoena. This is a broad definition of obstruction of justice and one that Trump has repeatedly gone well beyond. But Kavanaugh’s views have evolved. In 2009, he expressed sympathy for Clinton’s plight and argued that indicting a president while in office “would ill serve the public interest, especially in times of financial or national security crisis.” Trump’s staff allegedly investigated Kavanaugh’s views on the issue. It’s unlikely that the president would have chosen Kavanaugh to join the court if he didn’t have confidence in his loyalty. Kavanaugh’s conflict of interest would require him to recuse himself from any case that comes before the court regarding the Russia investigation. But there is no mechanism to force a recusal. Kavanaugh’s statement accepting the nomination on Monday night doesn’t provide much confidence. 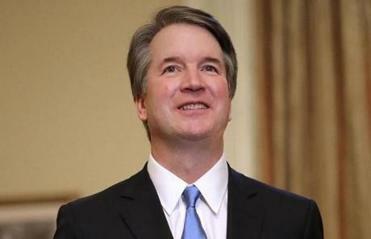 About his selection process, Kavanaugh said, “No president has ever consulted more widely, or talked with more people from more backgrounds, to seek input about a nomination.” In reality, Trump received a list of judges that passed muster with right-wing judicial groups and chose from that group. It would go against everything we know about Trump to believe he made his pick after close consultations with constitutional experts. It’s somewhat pro forma for a nominee to praise the president selecting him, but one can’t also ignore the possibility that Kavanaugh is doing what everyone in Trump’s orbit does — swaddle him in praise, in part, to stay in the president’s good graces. 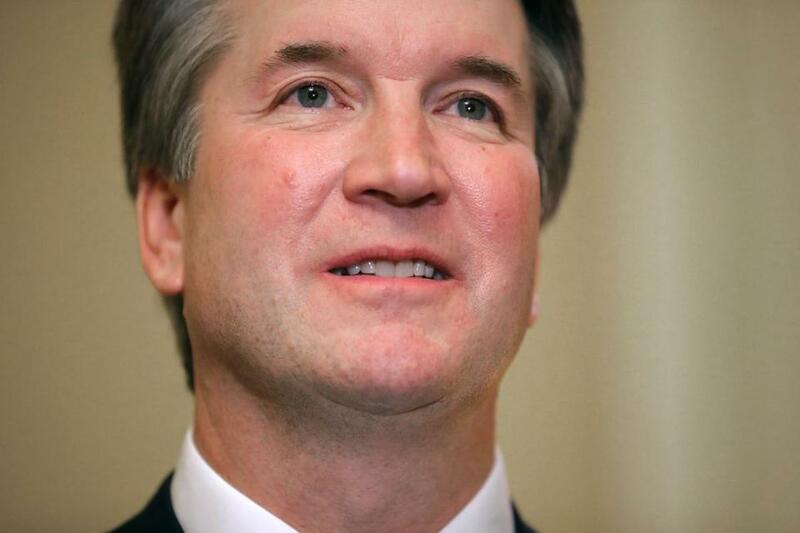 How likely is Justice Kavanaugh to take a position that is based more on fealty to the law than loyalty to Trump? The reality is that we shouldn’t even have to ask such a question. Allowing the president to choose a nominee to the court who may be a swing vote on cases that could affect Trump’s legal standing is the kind of thing that happens in banana republics. In an ideal world, Trump’s court selection would be delayed until the Mueller investigation is complete. At the very least, both Democrats and Republicans should demand Kavanaugh pledge to recuse himself if he is confirmed. In this world, however, the president will get his pick; that pick will probably be confirmed; and with Kavanaugh on the court, Trump can continue his chipping away at the rule of law in America.